Festival News: EOTR here I come....again!! Like a stranger's sausages sizzling tantalisingly upon a campfire, so close yet - oh sweet merciful lord - so far, my mouth has been clamped tight on all topics concerning the annual pilgrimage across the water to a certain Dorset-situated festival. Doubts were afoot concerning boring topics such as that funny money business and annual leave entitlement baloney. As of 12.30pm those fears lie giggling psychotically upon a dirt floor as - yes, the reason has probably been deduced in silver-witted Sherlock Holmesian style by now - it can be 100% confirmed: an End of the Road 2012 ticket has been secured. As posted back in March, 2012 will see a special onus on Bella Union artists as the legendary indie record label celebrates 15 incredibly productive years of business. Bella Union artists already confirmed for Larmer Tree Gardens include Beach House, Dirty Three, Hannah Cohen, I Break Horses, The Low Anthem and more. It would not be unexpected for the party atmosphere to throw up a few surprise cameos and duets neither so the tension mounts. If the lure of a litany of Bella Union bands doesn't exactly float your own personal boat then fear not as Grandaddy, Alabama Shakes, First Aid Kit, Mountain Man and a host of other melody mages will be on hand to conjure up a magical weekend for all in attendance. Not stopping there, the following artists were all recently added to the already superb collection of crooners. 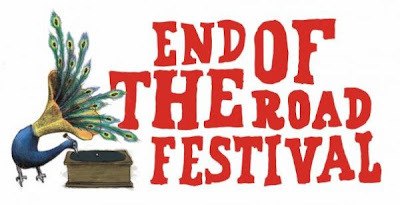 - Visit www.endoftheroadfestival.com for ticket prices etc.